On Saturday we went over to move the herd in the evening, a rather routine operation. 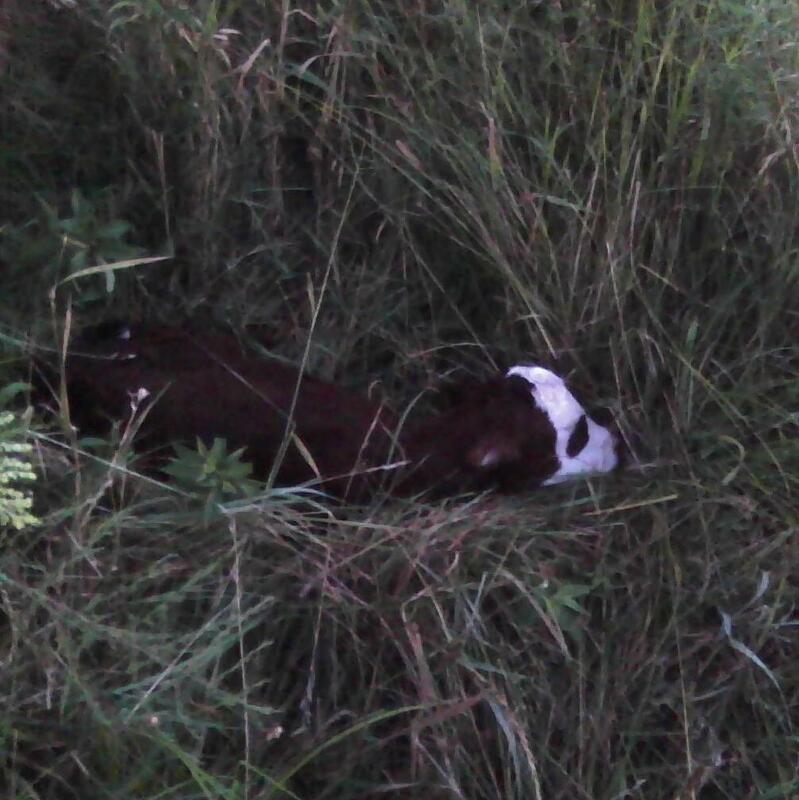 But… there she was, hidden in the grass by her mama cow, our first new calf of this season. How glorious, how delicate, how right! Charles and I are so happy to finally have a website for Movable Beast Farm!Right now we’re still under construction but we will be blogging through the seasons – check back for photos and updates. Thanks to Ethan Roland for getting us up and running; check out his website at www.appleseedpermaculture.com While we are at home working on the site the cows and steers are peacefully resting and chewing their cud under dark skies, each one secure as a member of the herd. We thank them too for their calm quiet natures and their many gifts to us.